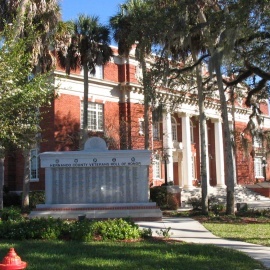 Brooksville is a small town an hour north of Tampa and what many call Florida's Nature Coast. The Withlacoochee State Forest is a great place for camping, fishing, canoeing, and kayaking. Brooksville's downtown area is full of charming stores and eateries. Nearby historic sites include the Hernando Heritage Museum, the Brooksville 1885 Railroad Depot Museum, and Chinsegut Hill Manor House.